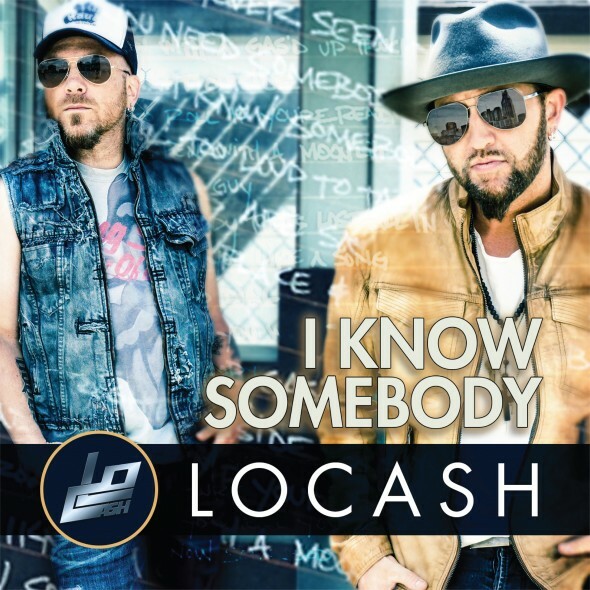 NASHVILLE, Tenn. (September 13, 2016) – Hit-making Reviver Records country music duo LOCASH, who join a handful of country artists to have two Top 10 radio singles in the last 12 months with “I Know Somebody” at No. 10, are featured in Comcast Built Ford Tough® dealer advertising campaigns across the country. LOCASH’s Chris Lucas and Preston Brust deliver infectious energy in the self-penned promotional song “Tough,” exclusively written and utilized for Ford dealer promotional spots and advertisements. Click here to watch the Comcast Built Ford Tough® dealer advertising campaign featuring LOCASH. LOCASH are currently on a whirlwind nationwide tour promoting THE FIGHTERS (available here), their first full-length album with Reviver Records. Fans can’t get enough of “I Know Somebody” with more than 6.6 million streams and more than 100,000 units sold. The duo’s “I Know Somebody” video, which showcases Chris and Preston in a retro roller rink outside of Chattanooga, Tenn., is currently on CMT and No. 3 on Great American Country’s Top 20 Countdown (click here to vote). Recently, Rolling Stone Country featured LOCASH in a story about how the duo continues to choreograph their career their own way. THE FIGHTERS includes their chart-topping hit “I Love This Life,” and 10 brand new songs, including the title track “The Fighters,” as well as “Ring On Every Finger,” “Alll Day,” “God Loves Me More” and “Moonwalkin.” Fans can also expect to find crowd favorites that they perform out on the road like “Shipwrecked,” “Drunk Drunk,” “Till The Wheels Fall Off,” and “Ain’t Startin’ Tonight,” on the new project. Earlier this summer LOCASH celebrated their first RIAA Gold-Certified single, “I Love This Life,” for selling more than 500,000 copies. Recent appearances on the CMT Awards, Today Show, Jimmy Kimmel Live! and many more have also helped launch LOCASH to mainstream success. For more information on LOCASH, visit locashmusic.com and follow them on Twitter, Facebook and Instagram! Sept 15 New Mexico State Fair – Albuquerque, N.M.
Sept 20 NAB Convention – Nashville, Tenn.
Sept 23 Q In The Lou – St. Louis, Mo. Sept 30 Route 66 Fest – Las Vegas, Nev.
Oct 07 Royale Boston – Boston, Mass. Oct 13 Emporium – Patchogue, N.Y.
Oct 14 Starland Ballroom – Sayreville, N.J.
Oct 15 93.1 WPOC Weekend In The Country – Baltimore, Md. Oct 19 Green Bay Distillery – Green Bay, Wis.
Oct 20 The Intersection – Grand Rapids, Mich.
Oct 21 KECC Concert Series – Kokomo, Ind. Oct 27 Dovers Eagle Hill – Tallahassee, Fla.
Nov 03 Mavericks Live – Jacksonville, Fla.
Nov 04 Coastal Carolina Fair – Ladson, S.C.
Nov 05 Hogan’s Beach – Tampa, Fla.
Nov 12 Tequila Cowboy – Pittsburgh, Pa.
Nov 17 Mercury Ballroom – Louisville, Ky.
Nov 18 Deluxe at Old National – Indianapolis, Ind. Nov 25 The Fillmore – Spring, Md. Nov 26 Theatre of Living – Philadelphia, Pa.
LOCASH is booked by CAA.